Making money from the comfort of your own home with minimal start-up costs is absolutely possible if you consider getting involved in the skincare industry. Consumers are becoming increasingly aware of the dangers of many skincare product ingredients and additives and so there has been a trend seen towards the purchase, use and gifting of more natural and less harmful products. With natural herbal and complimentary ingredients and scents being so readily available these days, it would make perfect sense to start up your own body lotion and cream business, to make a profit and assist those interested in more organic skincare. To get started you will ultimately need a love for mixing and experimenting with different natural ingredients, herbs, flowery scents and of course have some ideas to make your product and it’s bottling/packaging options commercially appealing. The first step in the right direction would be to sign up for a body lotions and creams manufacturing course that can take you through the various steps of successfully combining the right ingredients to create lotions and creams that don’t just smell amazing, but actually have nutritive and protective value as well. Where can you find such a course at an affordable price and that can be studied part time? 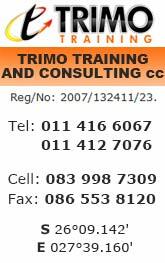 Trimo Training, that’s where. 8. Added to this package is Lavender Hand Lotion. Body Lotions & Creams Manufacturing Course in Randfontein. Course Dates: 22 June 2019. Before you register for a course with us, take the time to learn more about what’s involved in setting up a body lotion and cream manufacturing and selling business. • Attend a course to gain the basic know-how for lotion and cream making. • Marketing must be considered from day 1. Make sure that your business name and logo are fitting of your particular type of lotion and cream. • Make sure that you know what your packaging options are. Packaging must keep the product fresh, display your company details as well as present all the ingredients and additives of the product. Remember to keep things legally above board. If you claim that your lotion or cream can cure or treat something, there must be proof of that. Make sure that all of your additives and colourants are disclosed. It’s best to stick to products that are approved by the various medical, health and safety boards. • Setting up your work space will be vitally important. During your course on how to manufacture lotions and creams, you will learn all about the equipment and appliances required as well as the ingredients, additives, colourants and more. Having a kitchen space available is ideal if you are working from home. Mixing bowls, access to water and appliances that are only used for lotion and cream manufacturing is important. • Storage space is important. It might be a good idea to manufacture stock in advance and store it so that your customers aren’t kept waiting for their orders. If you have a spare garage, spare bedroom or storeroom that is cool, that’s a good start. • Have a computer available to store your recipes, mix designs, customer details, and to keep track of orders and accounting entries. At Trimo Training, we offer courses for manufacturing cream and lotion that are affordable and appealing to all. We will teach you all the skills required to manufacture your own alluring range of creams, lotions and skin care products as well as basic business skills to make a success of it. Apply for the Body Lotions and Creams Manufacturing Course Here.